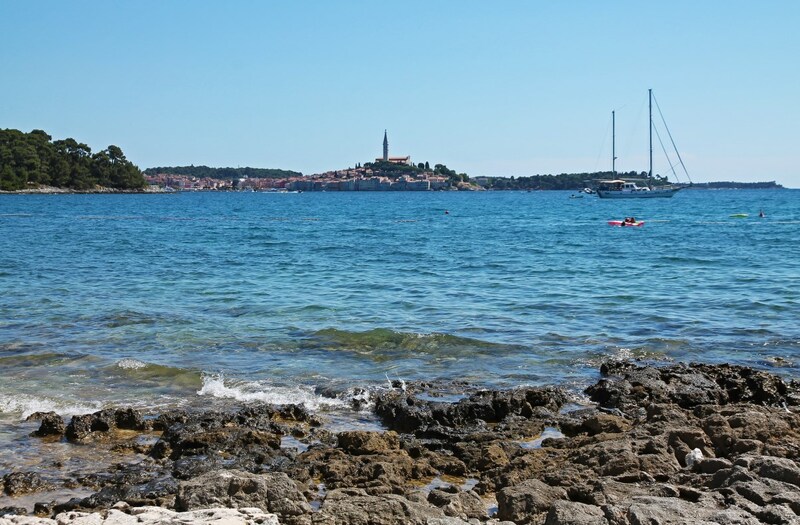 Istria is a triangular peninsula in the north of Croatia. 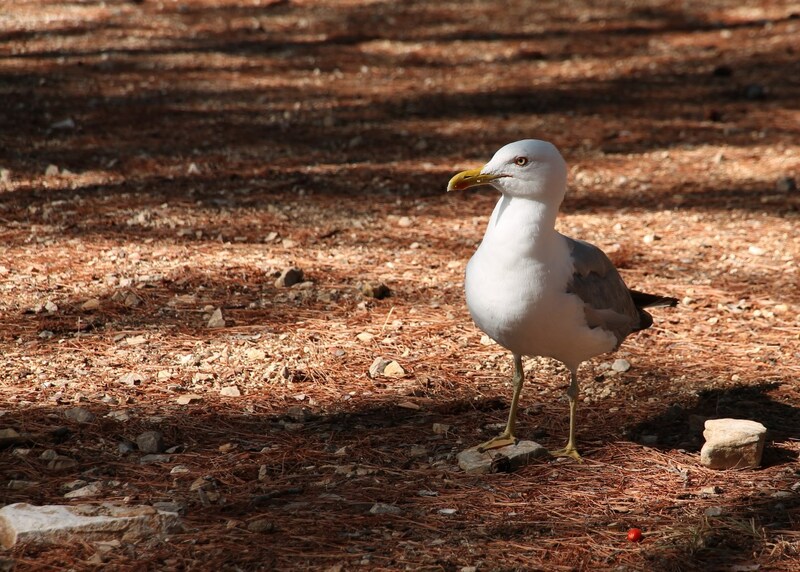 It is well-known with tourists for its beaches, its campings and a relaxing swim in the Adriatic. In summer, it is really overcrowded and therefore a lot of travelers (note the difference with “tourists”) avoid this region in July and August. Last year (2015), there were a few reasons why we didn’t… First of all: we both work in education and July-August is the only period in which we can travel for more than 2 weeks. Secondly, we had to flee from Slovenia because of some seriously bad weather (non-stop rains). Istria was only a few hours drive from where we were staying in Slovenia (near Lake Bohinj), the weather was much better there and we already had a few visits in mind for this region. After we passed the border (the traffic was especially clogged on the way back), we started the seemingly impossible task to find a decent campsite. Since we were on a camping holiday with our tent, we needed a place to put up our portable home. But, as I wrote above: the whole peninsula seemed packed with tourists. We were very fortunate to find a large campsite (Camping Valdaliso, only the third on our list!) with some tentspaces left. It was a pretty decent spot: shaded underneath the pine trees and only 50m or so from the sea. OK, the campsite was pretty big and busy, but the area with only tents (and no campers) had a really relaxed atmosphere. And it was close to Rovinj! Our spot under the pine trees. 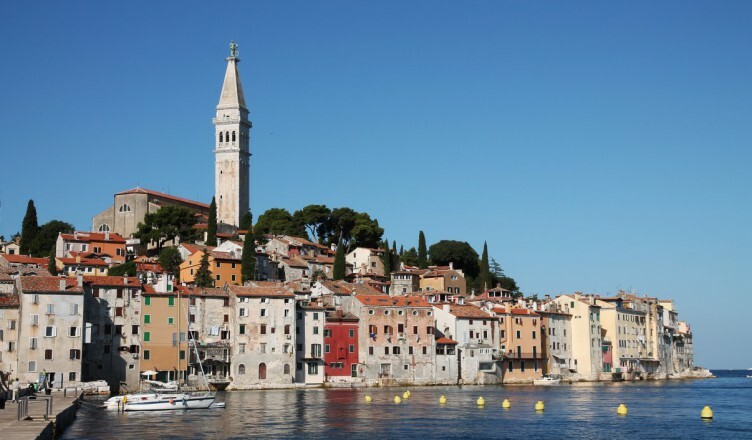 The city of Rovinj was built by the Romans as a harbour, called Ruvinium. Between the 13th and 18th century, it was governed by the Republic of Venice. 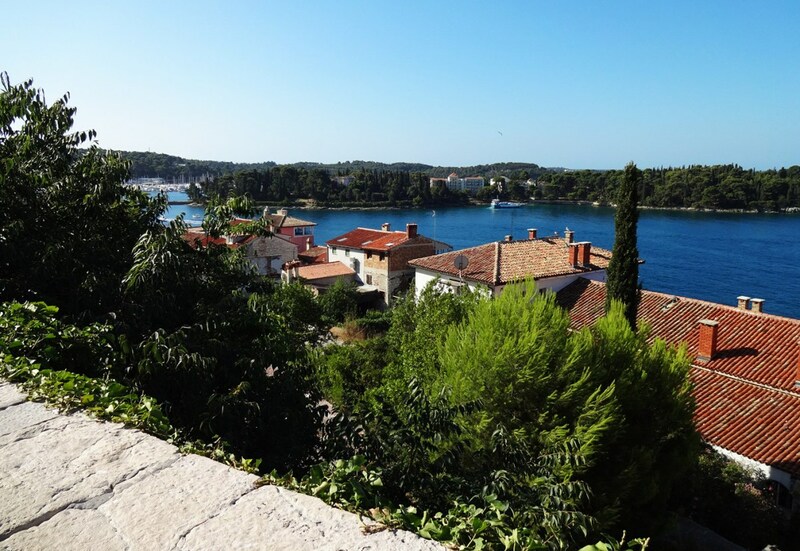 Rovinj flourished in this period and it was in this time that several town gates and defensive walls were built. There are still two official languages spoken in this town (Croatian and Italian), and it also has an official Italian name: Rovigno. 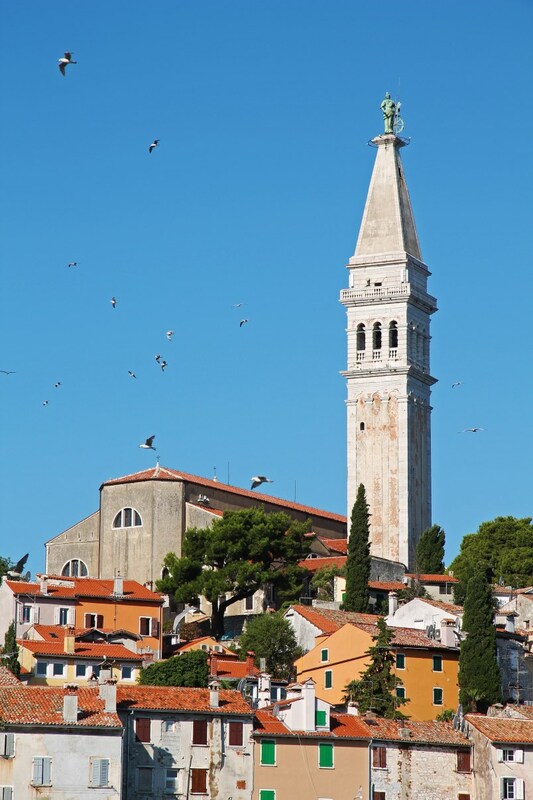 The red-roofed “skyline” of Rovinj is dominated by the 17th-century belltower of the 18th-century Church of St. Euphemia. A statue of the saint can be found on top of the church’s spire. 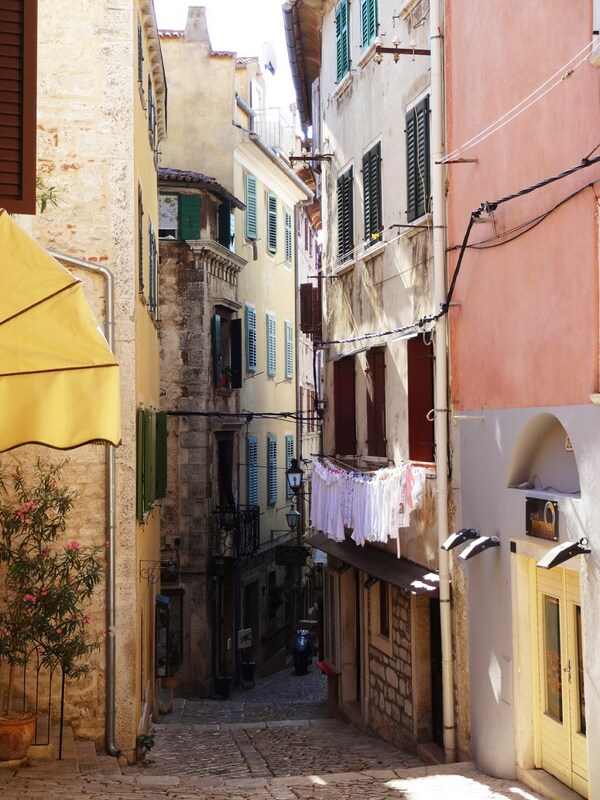 The St. Euphemia is situated on a hill that rises up out of the city centre. The St. Euphemia Church, on top of a hill in the centre of the town. 1. 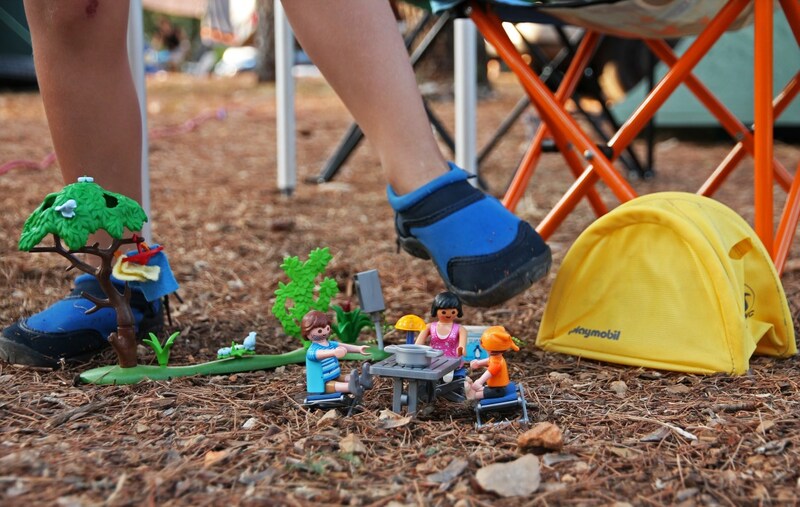 Find a camping with a beach that looks out onto the city. The view from our campsite. Not bad! 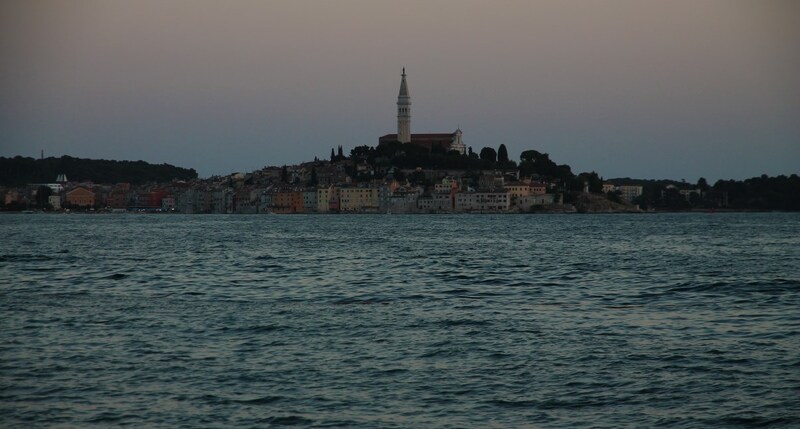 Rovinj in the soft light of sunset. 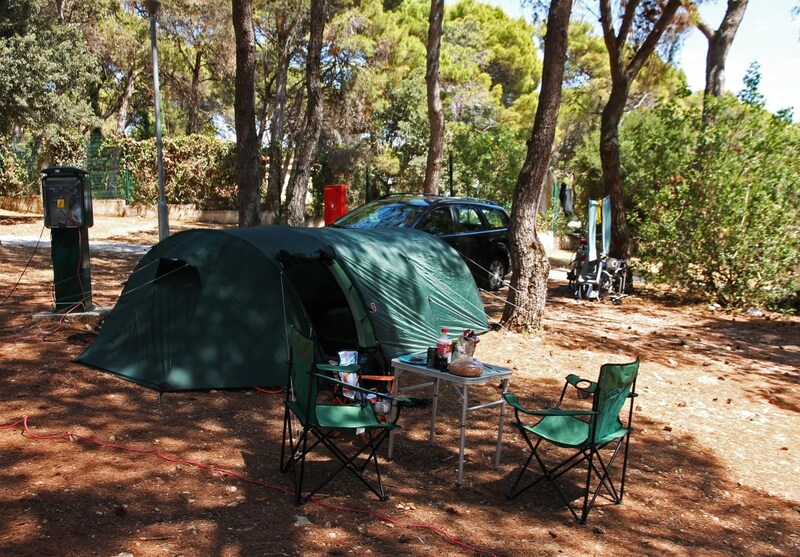 So, we were camping underneath some pine trees, only a few tens of meters from the seaside. This obviously attracted quite a lot of seagulls, who tried to steal our food, destroy our litter bags ànd woke us up very early with their eloquent scream… Actually, this wasn’t so bad, as we, the early birds, were able to visit Rovinj when there was still some parking space left ànd without the crowds. We arrived in the city at 8:00 AM and had it all to ourselves. Near-empty street in the morning. Rovinj is not a city of big gestures, but it’s perfect for a pleasant walk uphill (until you reach the church) and back again. 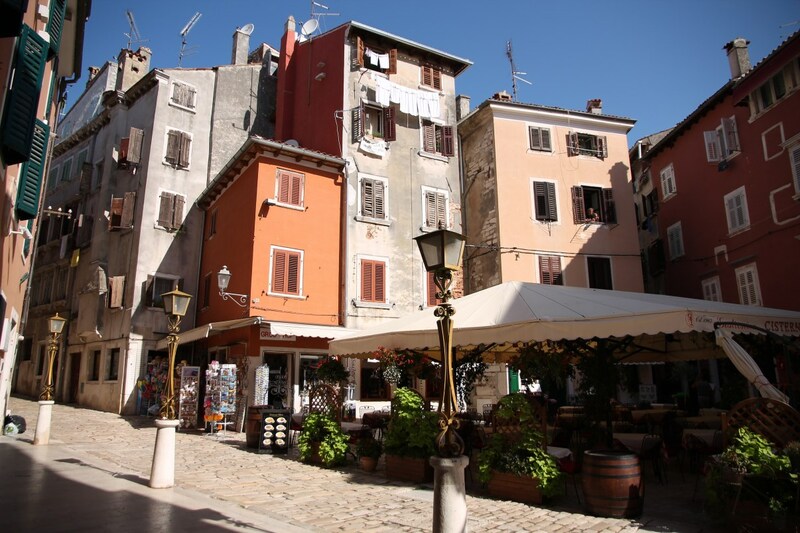 Enjoy the superb views on the Adriatic, inhale the relaxed atmosphere of the narrow, cobbled streets and just go and explore. 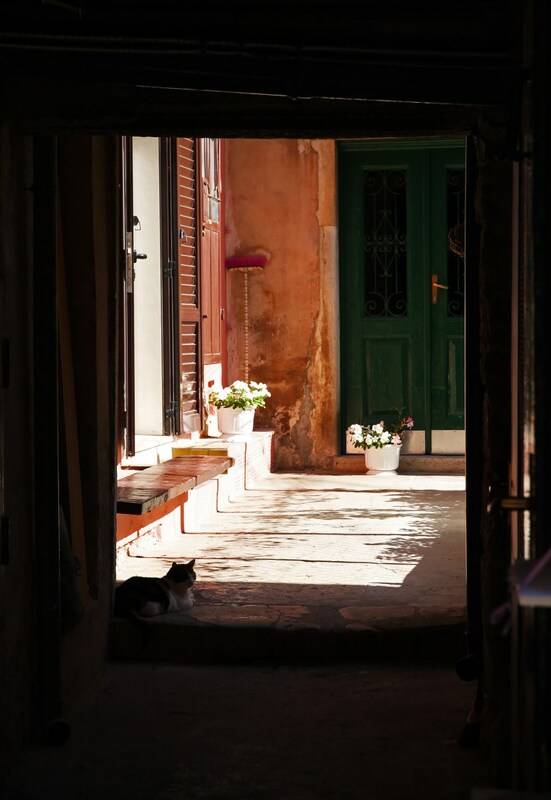 There are more than enough quiet little corners and interesting architectural details to be discovered. One of those idyllic spots in the city centre. 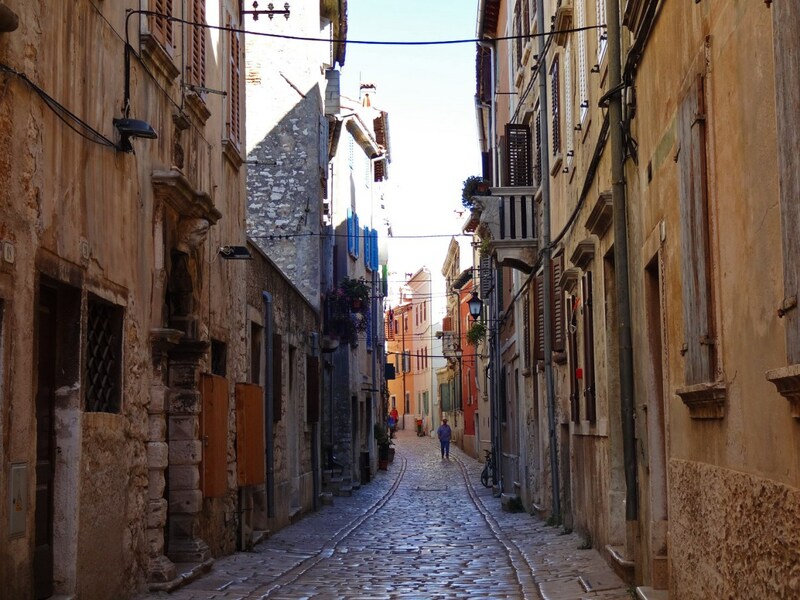 The narrow streets of Rovinj. Loved the atmosphere of this little square. 4. 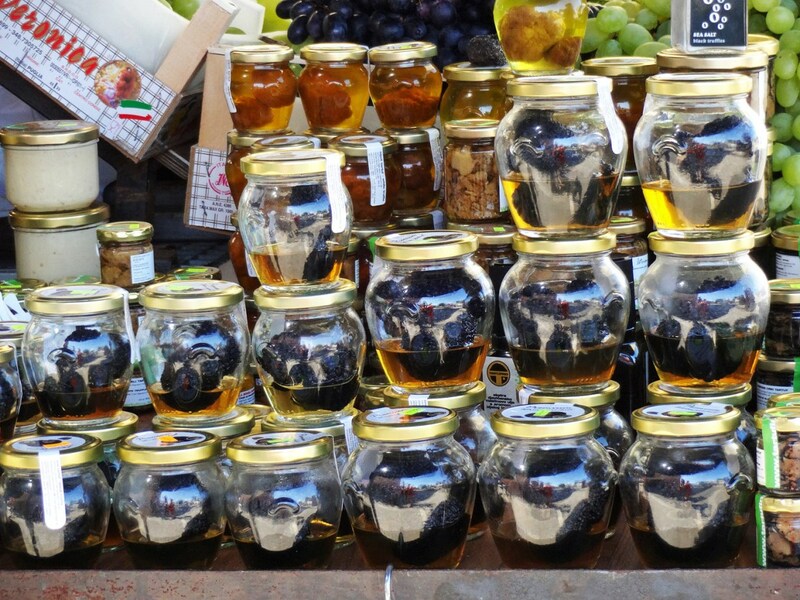 Visit the local market. 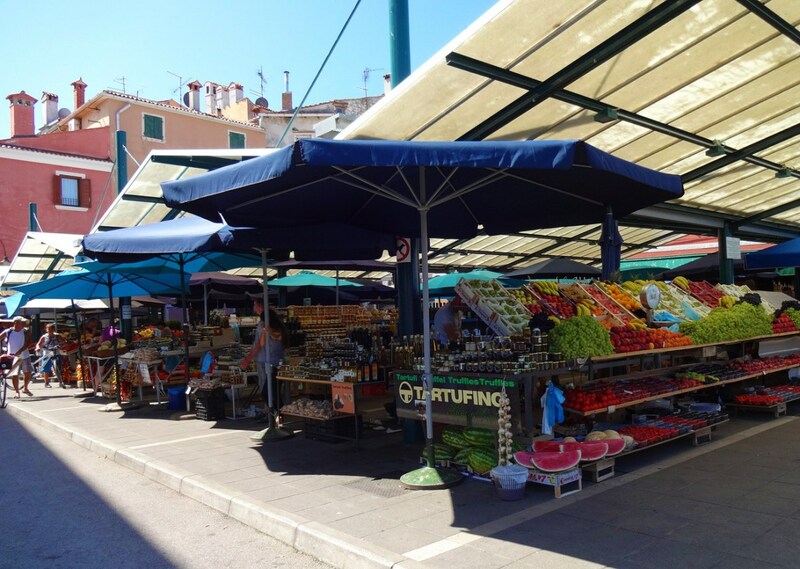 When you enter Rovinj from the parking area, you might pass a tiny market (called the Green Market) where a lot of local specialities are sold. 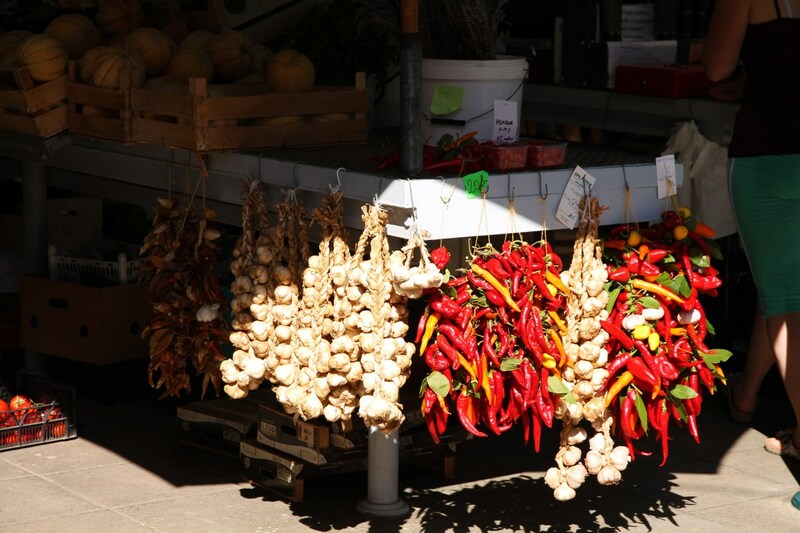 Hot peppers, truffles, honey or freshly cut dry-cured ham (called pršut), it’s all there to enjoy. 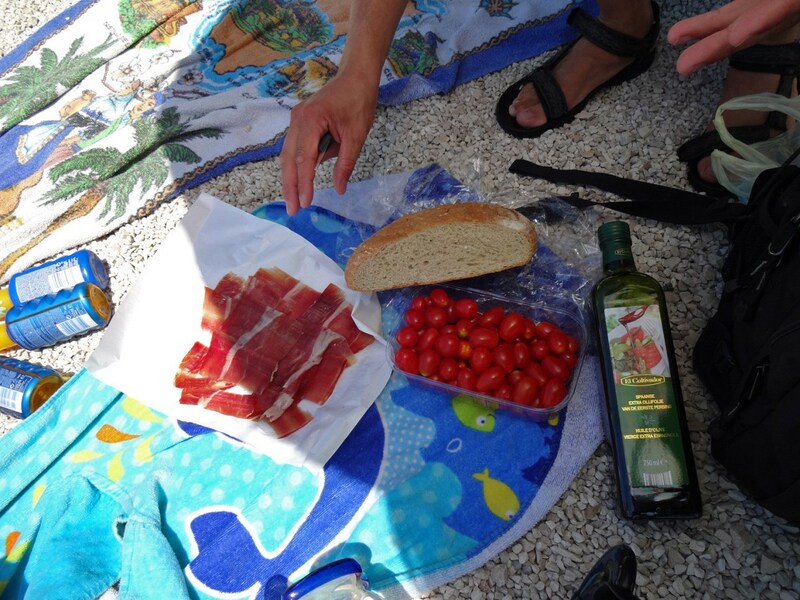 Enjoying the pršut with some cherry tomatoes, a piece of local bread and some olive oil. 5. Have an unforgettable dinner. 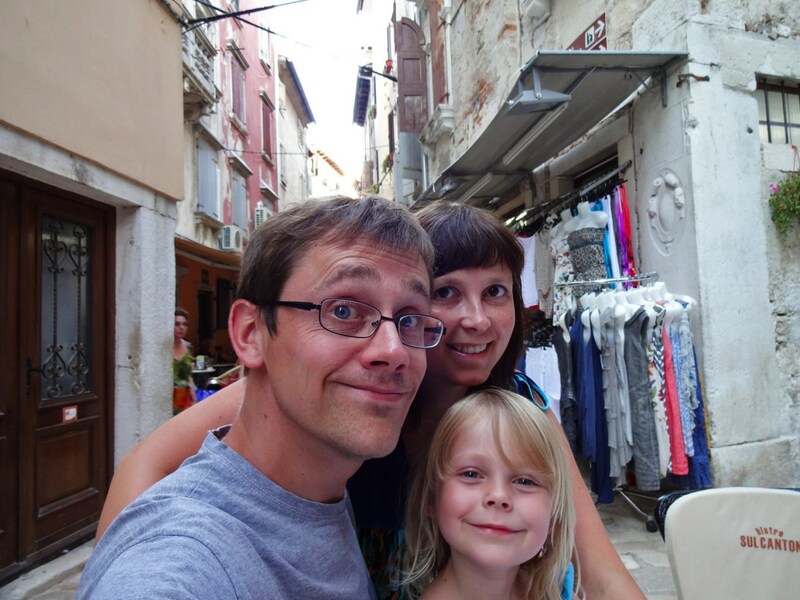 Our last evening in Croatia, we visited the more crowded version of Rovinj in search of a nice restaurant for our last supper (so to speak). Even though many tables were already taken, we found a nice little table for the three of us at Bistro Sul Canton. It turned out to be a fabulous evening with exquisite local cheeses, great seafood and the most delicious panna cotta. Our waiter was also very correct and friendly (even took the time to have a chat with us at the end of our dinner), so this is definitely a place I would recommend. One happy family at Bistro Sul Canton. Interesting tip when you travel with your kids: there is a playground near the market and parking area. 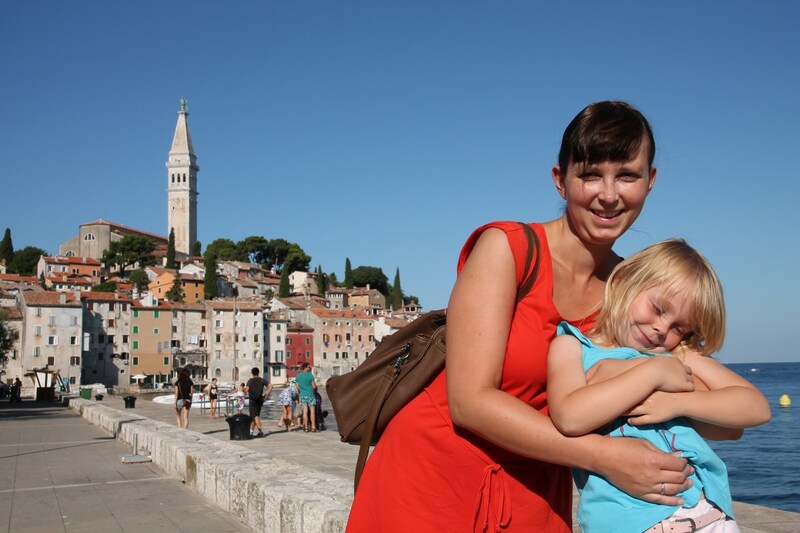 Rovinj is not the only coastal city we visited in Istria. It was the smallest and most pleasant one to stroll through though. I think that in terms of cosiness the rule of thumb must be: the smaller, the better. The other, larger cities did have some interesting highlights, though, e.g. the amphitheatre in Pula and the episcopal complex in Poreč. Mooi! Schitterende foto van Annick en Febe!